JBL, a division of Harman Kardon, the leader in automotive audio systems, designed the perfect audio system for the Toyota Scion. It combines the power and performance young drivers and consumers demand. 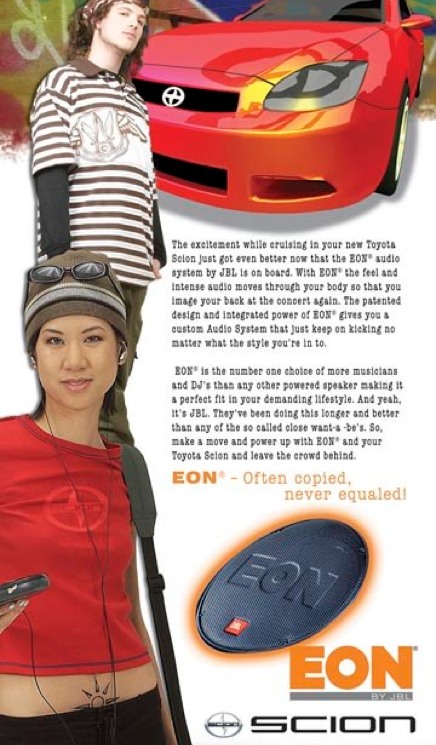 EON is the number one choice of more musicians and DJ’s. The unique and youthful poster was part of a total branding campaign that combined this poster with direct mail, posters, mailers and print advertising.